Electrically-powered cars are no longer a left-field novelty and improving battery technology and expanding power infrastructure is reducing the bane of the e-car driver’s life: Charging Anxiety. A similar revolution is taking place in the bicycle market, and e-bikes are getting lighter, faster and boasting better range than ever before. An e-bike is not only a commuting option though – it is a great choice if you’re touring or on vacation and need something you can use when the camper is parked up or you want a quiet, low-impact way of getting around. The view and pace from the saddle of a bicycle is also ideal when it comes to sightseeing and with an e-bike you don’t need legs like Mark Cavendish to survive a day on the cranks. Thule’s broad product range can accommodate all riders; whether a serious athlete, weekend warrior or pure recreational rider. This includes those who are eyeing an e-bike: the Thule EasyFold XT and Thule VeloSpace XT towbar-mount ranges are designed with electrically-assisted bicycles in mind. The two-bike versions of both can carry a total load of 60 kilograms, so that’s a pair of 30-kilo bikes and because few e-bikes weigh more than 25 kg, there’s plenty in reserve. Extra-long, extra-wide wheel trays are further clues to their heavy-duty ability, as are adjustable pump buckles with long wheel straps – which makes even the fattest, widest wheels easy to secure. Then there’s the convenience of tilting the entire rack for easy access to the boot or hatch, and the security of being able to lock the bikes to the bike rack and also lock the bike rack to the towbar. 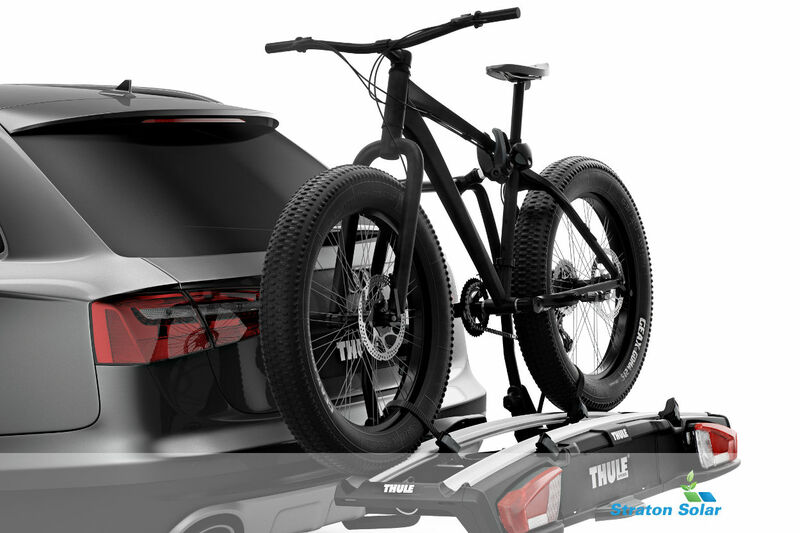 Says Richard Downey, head of Thule importer and distributor, SA Sport & Cargo: “Thule has a solution to transport just about anything you may want to attach to the outside of a vehicle or put inside a vehicle. The Thule EasyFold XT and Thule VeloSpace XT towbar-mount bicycle carries are available from Thule Concept stores and select cycling stores throughout South Africa.